Going away and can’t decide whether to hire a pet sitter for your cat, dog or both vs taking everyone on vacation? Long or short term? Business or pleasure? Do you really need to be worrying about your cat or dog when you are in work mode? If pleasure, is the trip genuinely pleasurable for your cat or dog? Dogs love going on vacation with you if they can hike, smell new smells, see new sights, be admired and patted by new people. Of course all of the above depends on the age, breed, temperament of your dog and your vacation plans. Unless your dog/s go to doggy day care which has additional boarding options, boarding for either cats or dogs is stressful. Surrounded by other unfamiliars (people and animals), smelling different cleaning agents, noises (for example, whining, loud voices), sleeping in cages/crates, and the list goes on, are all reminders of being at the vet’s office. If you stay in a hotel, most likely you have to pay an additional fee. Some hotels will not clean your room when you are out if you leave your furry friend in the room. While you are out, your angel is alone in an unfamiliar environment waiting for you and most likely anxious about you coming back. Pet sitting is definitely the way to go if you have a shy or older furry friend, or one who needs medication. And cats really like staying home! They don’t have any desire to go visiting, they prefer visitors come to them. If your cat/s stay home, you can have a cat sitter come in one or two times a day or sleep there. 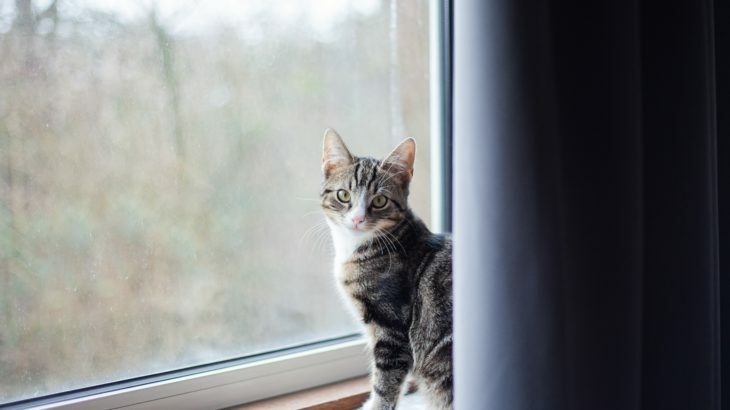 Most cats enjoy the royal treatment of a staff to take care of them and are purrfectly fine with a visit or two daily from a cat sitter to clean the litter and put out fresh food. However, some cats, believe it or not, do want a cat sitter to sleep over. Dogs, on the other hand, are a bit needier as they have to go out to potty 3 or 4 times per day. Some need playtime in the park with doggy friends so you want someone trustworthy to stay with your pup. Give instructions on your dog’s routine (eating and going out) and anything else useful to know. How to find that purrfect pet sitter? Paying someone is more reliable than asking a friend or neighbor without the guilt associated with not paying. After all, it’s your pet sitter’s job! 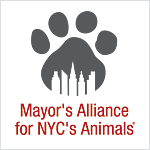 Ask your friends or neighbors with pets or, if you are in NYC, simply ask us! Have your pet sitter meet you and your furry friend. If you have a dog, have the dog sitter come by your house, get your dog ready according to your usual routine: put on collar or harness, does your dog need a sweater? Show the candidate how you like to do it and then go for a walk together and see how the potential pet sitter handles your dog. While walking, ask questions important to you and be sure to describe your dog’s behavior, triggers or favorite potty spots. With cats, have the potential sitter come over and see your cat’s reaction and interaction. Is your cat comfortable with this stranger? If your cat needs medication, try to schedule the meeting for when you usually give meds so you can demonstrate how to do it. Give explicit instructions on what to feed when and your cat’s litter box cleaning schedule. At the end of the day, go with your gut and choose the purrson you and your furry friend feel comfortable with. Remember to leave keys, a note with your doorman (NYC), a list of your travel details, any special instructions/medications and veterinary information. Cat Care Resources, Dog Care Resources, Links & Resources. permalink.